Skyler Thomas wearing baby-blue tri-blend shirt in Isla de Guadalupe. 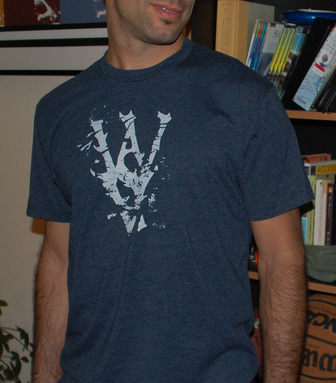 WSV logo on front. Sharks don't kill people, I kill people on back. 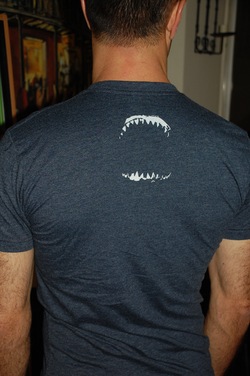 baby blue tri-blend shark shirt. Disintegrating WSV on front. Super soft triblends shirt with great white shark jaws on the back with the words "sharks don't kill people, I kill people" inside the teeth. 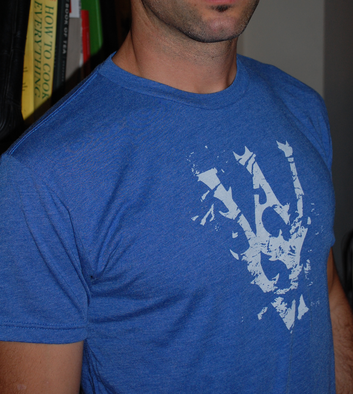 Disintegrated WSV logo on front. Midnight blue and baby-blue available. High quality, soft cotton material.